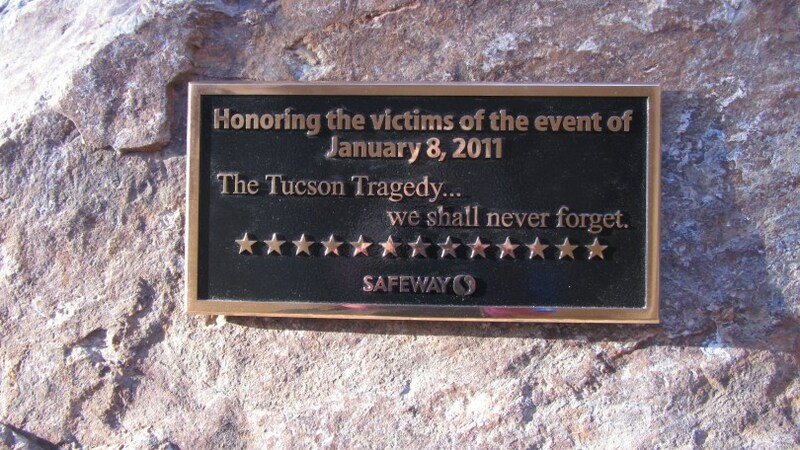 It’s been just over a year since the terrible incident at the Safeway supermarket in Tucson where Rep. Gabrielle Giffords was so brutally shot. Last year we visited the city at this time to see the incredible outpouring from its residents to honor the Congresswoman and all the victims. It was time to return to see what had changed and how the city was remembering those who got caught up in the unimaginable horror of that day. 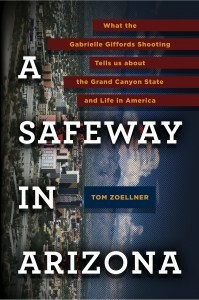 Tom Zoellner, the author of the new book A Safeway in Arizona, describes what happened as “shaking us to the core.” This award-winning journalist spoke recently at Changing Hands bookstore in Phoenix about his attempts to get to the bottom of “the Event” as it’s been called and to paint a loving and accurate portrait of his home state. 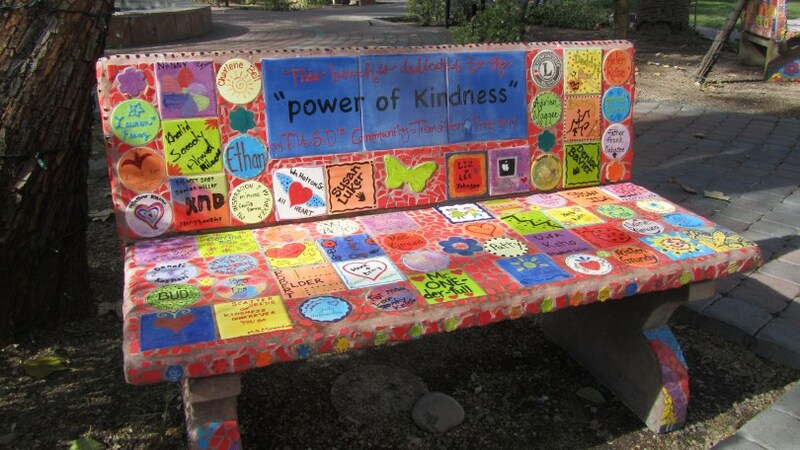 This is what I call a “kindness bench,” which is covered in personalized tiles honoring people who have inspired kindness. 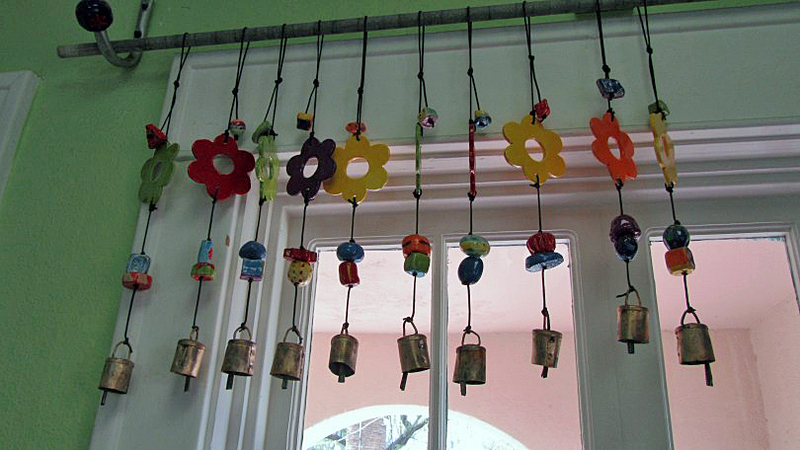 It was built by students two years ago in collaboration with Ben’s Bells, a project started in 2002 by Jeannette Maré to honor the memory of her two-year-old son Ben who died suddenly. It and several others sit outside of the studio where the bells you see below are made for the sole purpose of spreading hope and kindness. Early in the morning of the anniversary more than 1,000 of these handmade symbols began to be distributed throughout the city. Each one is made with the help of ten people. Tags are attached with the message: “Take it home, hang it and remember to spread kindness.” The idea is spreading nationally and internationally as more ceramic studios open. Although the project started long before last year, it has grown and become part of the city’s fabric since the shooting incident. 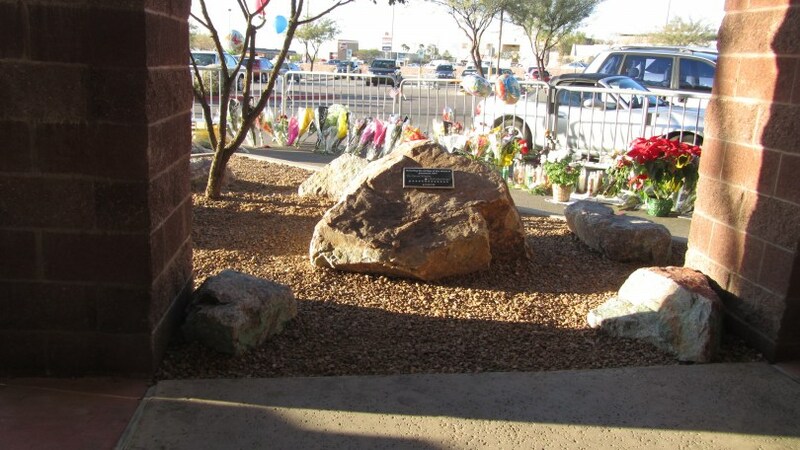 A few miles away you can find a special tribute honoring the memory of Gabriel Zimmerman, Giffords’ aide and outreach director, who received mortal wounds that day. 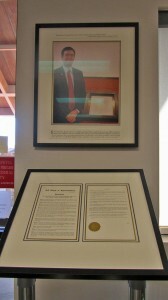 The plaque and photo of Gabe are in a prominent place in the Congresswoman’s office. Gabriel Matthew Zimmerman was a colleague and friend. He was bright, fearless and loving. 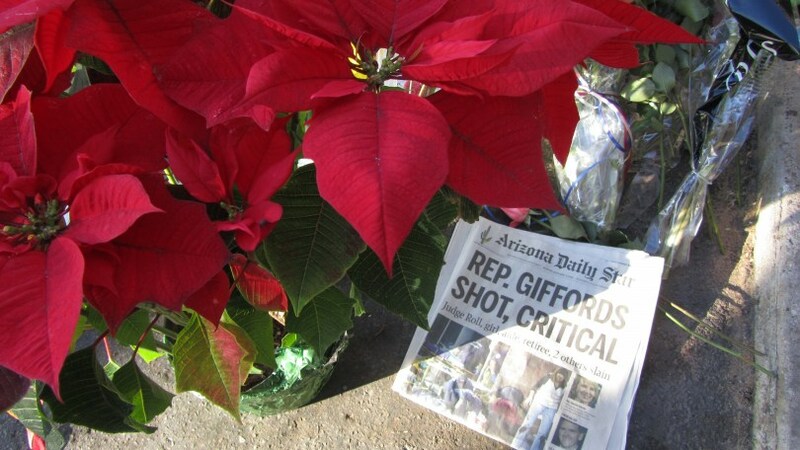 He cared about people, ideas and justice and was committed to his role as Congresswoman Gabrielle Giffords’ constituent supervisor and community outreach director. 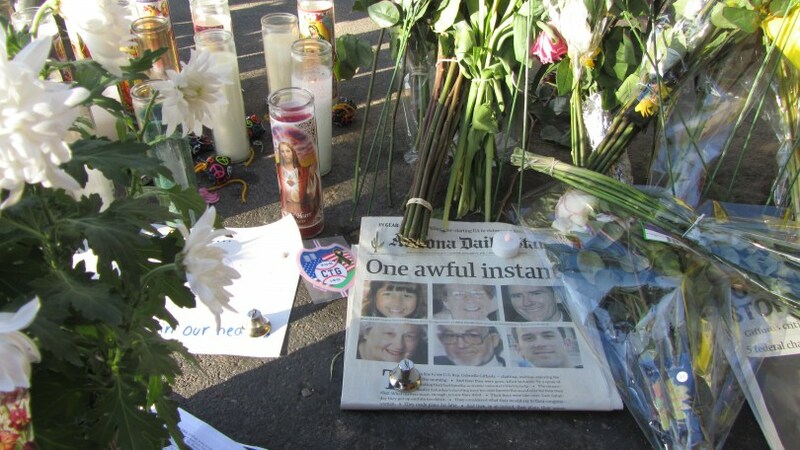 On January 8, 2011 he was killed in the line of duty. In his short time on earth, Gabe taught us about compassion and commitment. 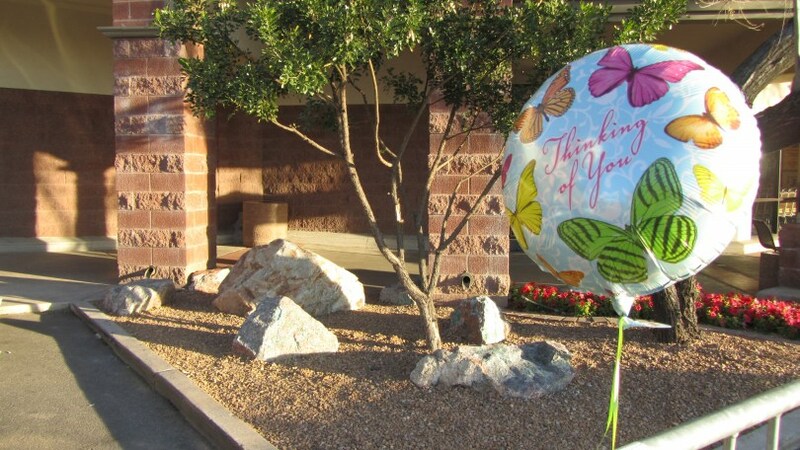 The massive display of flowers, balloons, notes, flags, and photos is long gone from the University Medical Center. Items gathered from there were reported to fill 60 boxes and may be used in a future permanent memorial. 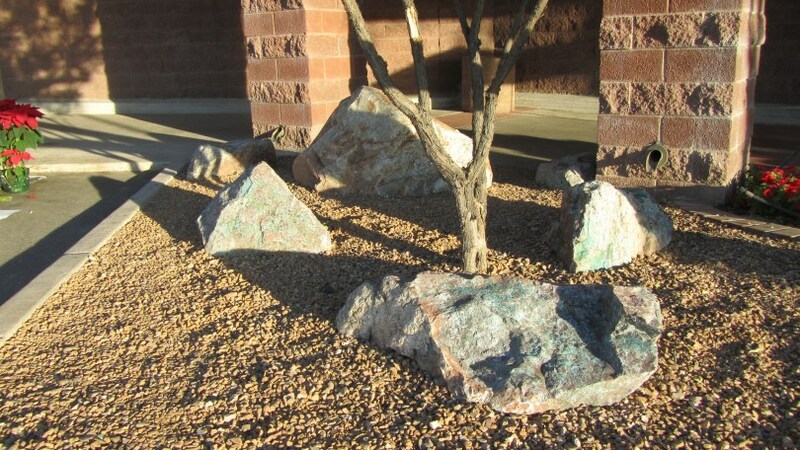 But on a corner further north, in front of that Safeway in Arizona, is a grouping of boulders carefully placed in a once terrifying space to honor the victims of the senseless shooting. 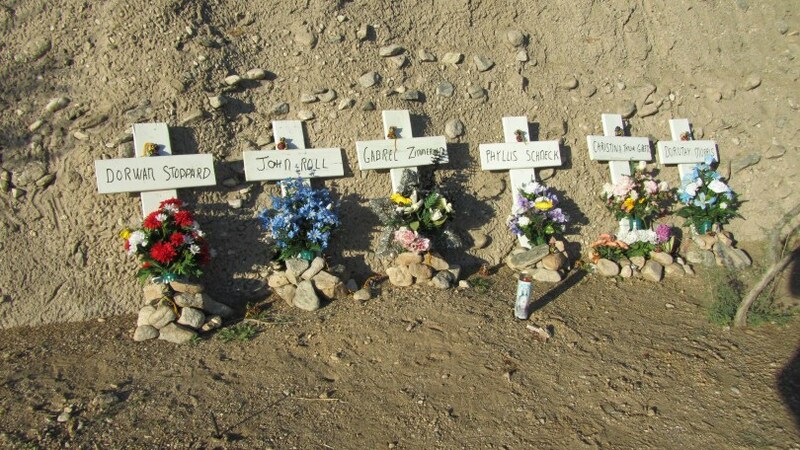 Flowers and other tributes are not far away. 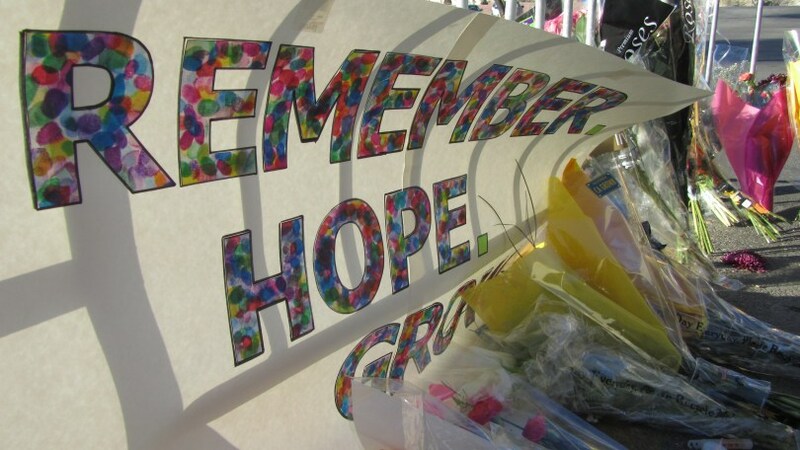 And a sign near the shooting site sends a message of hope.